Nike continue to celebrate the 25th anniversary of the Air Max 90. 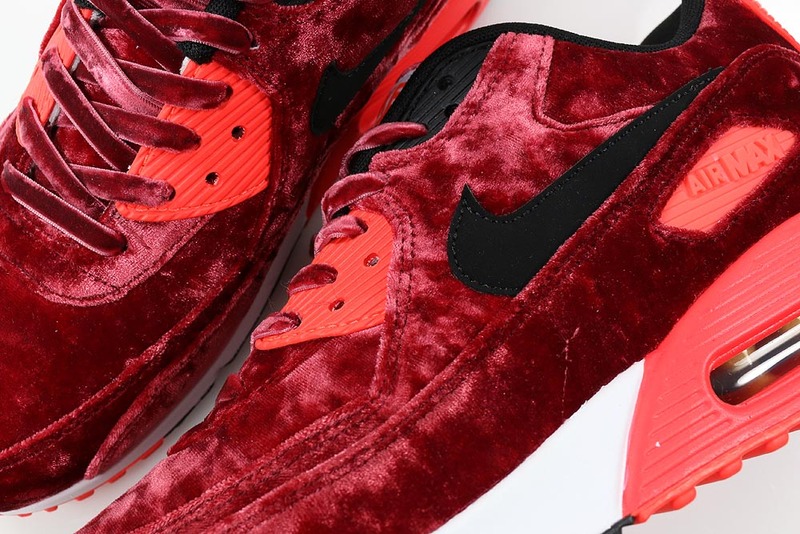 This edition features a luxurious red velvet upper with matching velvet lace. Nods to the original come through in the form of Infrared accents on the midsole and heel panel.